Equalizer is a high performance fabric/mesh slip-on windscreen. It is greatly superior to the common foam sock. Equalizer offers far higher wind protection, a balanced frequency range, along with a sweetened mid-range (to pull in clear, crisp dialogue). It has become increasingly important to have clean audio at the source, especially for digital and stereo broadcast. Equalizer will attenuate wind noise 30dB or more than the largely inefficient foam sock (up to 40 M.P.H. of wind protection) - far more effective than any competitive slip-on or full sized screens. Additionally, Equalizer follows the microphone frequency range with a purity that approaches the quality of our full size Super-screen models. 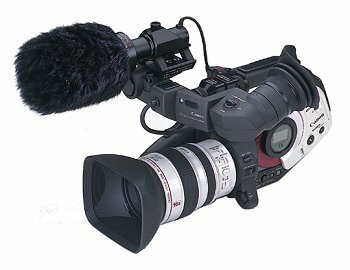 The primary purpose of Equalizer is to provide real wind noise protection for the professional video camera microphone. Also, it may be boom or fixture mounted, or used hand-held. 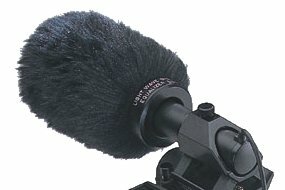 Equalizer can be used in severe rain and snow, while keeping the microphone dry and accoustically unaffected. Equalizer will physically dampen hard knocks and protect the microphone while in transit. Expected lifetime (based on 13 years of production Mini-screen manufacturing) is 15 to 20 years, or more. There are 1,970 full sized screens working today! Equalizer, like the Mini-screen and Super-screen, is made of unbreakable polyethylene, epoxy and nylon. The tough outer acoustical fur is the softest and finest in the world. Unlike foam socks and cheap fur covered foam imitation copies, that crumble and contaminate a microphone in a year or two, Equalizer will keep your microphone in a safe and pristine condition. This new low cost version of Mini-screen is essentialy unchanged from the original design Mini-screen, as was introduced at NAB in April, 1985. Unit weight: 1.7 ozs. - 48g.